The judge had to end what he described as a sign of unseriousness on the part of the prosecutor. Taminu Sani and Chinedu Ani were suspected thieves, but they have been set free by a court in Nasarawa State without proper trial. It was the decision of the Judge of Mararaba Upper Area Court, Nasarawa State, to let the suspects go and steal no more. Sani, 22 and Ani, 30, were docked for allegedly stealing a plasma television and 38,650 Naira cash few months ago. But Ibrahim Shekarau, discharged the defendants for lack of diligent prosecution which in a lay man’s term is considered as unseriousness. The prosecutor, Hamen Donald, could not produce witnesses, including the nominal complainant, Justice Shekarau had said before discharging the two men. 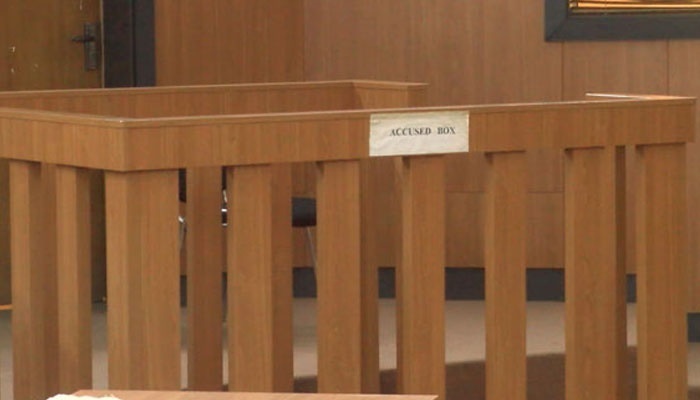 The News Agency of Nigeria reports that the discharged persons, had earlier pleaded not guilty to the three-count charge of conspiracy, trespass and theft levelled against them, offences they denied committing. They were alleged to have conspired and trespassed into a shop through the ceiling, stole 38, 650 Naira cash, and 21 inch-plasma television. They had escaped with the items, but security operatives traced and arrested them. The case was first mentioned on May 2, 2017 and the offences contravened Sections 97, 349 and 288 of the Penal Code.